7.2 ​​​​​​​If a contract is concluded between you and us, we will process the data for the purposes of conclusion and execution of the employment subject to the statutory provisions (legal basis: Art. 6 para. 1 phr. 1 lit. b GDPR). In any other case, we will automatically delete the application documents after six months, unless the deletion is in contrary to our legitimate interests (e.g. procedures according to the German General Equal Treatment Act). Further information concerning data protection may be found on our website under https://www.berlinheart.de/en/privacy-policy. At the age of 27, Tatjana noticed that something was not right: suddenly, going up the stairs was difficult and she had cramps at nighttime. When she went to see her family doctor, he referred her directly to the hospital to see a specialist. The specialist gave her a diagnosis: dilated cardiomyopathy, irreversible damage to the cardiac muscle tissue. At the age of 27, Tatjana noticed that something was not right: suddenly, going up the stairs was difficult and she had cramps at nighttime. When she went to see her family doctor, he referred her directly to the hospital to see a specialist. The specialist gave her a diagnosis: dilated cardiomyopathy, irreversible damage to the cardiac muscle tissue. A defibrillator was implanted and she also had to take medications regularly. All of this only helped in part, however. In the following years, Tatjana had to undergo repeated cardiac catheter examinations and continue taking medications to support her heart's total pump output. Over time her condition worsened to such an extent that only a donor heart or a ventricular assist device would be of help. Thus, on August 25, 2016 this young mother was implanted with an EXCOR® system at the University Hospital Heidelberg. After approximately four months in the hospital and three weeks in rehab, she was finally able to return home to her family. 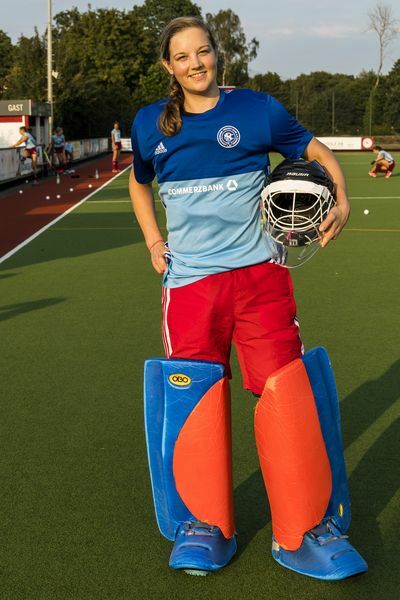 Tatjana has already been living for more than one year with the EXCOR® system. Two pumps and the Excor mobile drive are her constant companions. They continuously support the two weakened sides of her heart and supply her body with blood. Over time, the Saarland native has been able to regain her strength and reach a normal body weight. In conversation she tells us that she has no problems with EXCOR® and that she trusts the system. Nevertheless, the system's drive is fairly heavy and she notices it when climbing stairs or when out for a walk. 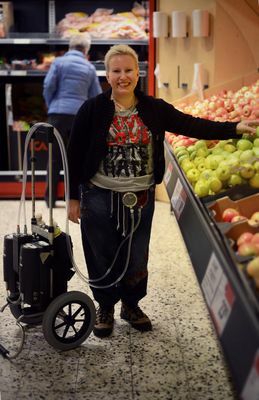 Thanks to the ventricular assist device, however, Tatjana can be at home with her family. There she takes care of the house and of her lively young daughter. The 33-year-old avoids the hospital as much as possible: "Thankfully, I don't have to go to the clinic very often. I control the pumps myself using my mobile phone flashlight and a mirror. My partner takes care of the wound dressings." In order to prepare herself for the time she would be on EXCOR®, Tatjana did some Internet research. She felt good knowing that there are other patients who live with such a system. Her VAD coordinator in Heidelberg and her family also helped her to manage the new situation. Tatjana now only waits for a suitable donor heart. After transplantation she would like to return to her job as a salesperson. She strongly believes in never giving up hope. Following a severe bout of the flu in 2006, Max K. developed heart failure which was treated with medication. In addition, he received a defibrillator and was able to live well for some time. Three years later, however, Max K. had difficulty breathing. At the hospital he had to be resuscitated. He was flown by rescue helicopter to the University Hospital in Regensburg and operated on the same day. The diagnosis yielded an idiopathic cardiomyopathy, i.e. his cardiac muscle was severely dilated. On August 21, 2009 Max was implanted with the INCOR® system. The titanium pump took over the heart's function and transported approximately five liters of blood per minute. Two days after surgery, Max K. was already sitting on a training bike to get his circulation going. A few weeks later he was discharged to his home. The currently 57-year-old patient became quickly accustomed to the ventricular assist device and remained optimistic: "I take things as they come. It is important to make the best out of a situation and not to lament too much. The best thing to do is to look for a solution." Thus, short vacations with his wife to Italy and Austria, for example, were possible. Since this time, Max. K. has undergone a successful transplantation. After the INCOR® system had supported his heart for more than seven years, a donor heart finally became available. At the University Hospital Regensburg, he is the patient who has been supported for the longest time with INCOR®. Max is very thankful to the team at Regensburg Hospital and to the Berlin Heart system, because he is doing so well nowadays. 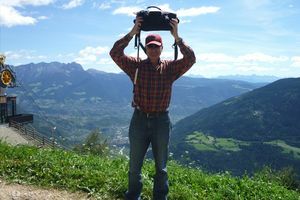 While Oliver H. lived with the INCOR® system, he went regularly to follow-up visits at his treatment hospital in Regensburg. While there, he also enjoyed visiting other patients who had ventricular assist devices implanted, answered their questions and told them about his personal experience. The most important thing he offered was showing patients how well a person can live with a ventricular assist device. He himself adapted in the best possible way. Thanks to the system he was able to regain his strength and once again be an active participant in life. The medical history of Oliver H. began with a cardiac muscle inflammation. Initially, this condition was treated with medications and later he was implanted with a defibrillator. After some time, severe heart failure symptoms returned. "Then, everything happened very quickly: I was too ill to work and had a breakdown at the doctor's office. The medications were also unable to stabilize my condition and that same evening I was sent to the hospital in Regensburg", summarizes Oliver H.
In Regensburg, the possibility of receiving an artificial heart such as the INCOR® system was discussed for the first time. "It would help my own heart to secure the pumping function and would supply my organs with sufficient blood", recalls Oliver H. of the discussions at the hospital. Two days later, the INCOR® system was implanted. He spent about six weeks in the hospital and then spent an additional six weeks at the Höhenried Rehabilitation Center by Starnberger Lake. "The time following the implantation was free of complications, I got increasingly better." 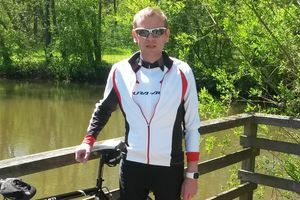 In 2018, Oliver tells us how things went on: "I lived for almost three years with the ventricular assist device until I was offered a suitable donor heart and underwent a transplantation. The almost three years with my INCOR® were a gift of time. Without it, it wouldn't have been possible for me to live, once again, a normal life as I do now. 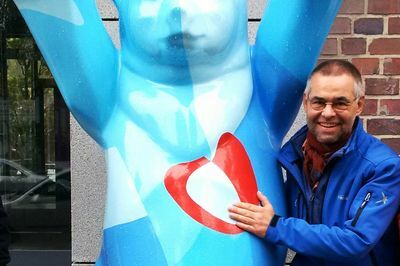 In summer of 2016 I was able to visit the Berlin Heart headquarters in Berlin, together with my wife, as a former INCOR® patient. We were welcomed and treated with such warmth and friendliness that I took away yet another positive experience, next to the one with my INCOR®. It is clear to me today that this visit to those at Berlin Heart who saved my life will not be the last one." Up until November 2007 I was actually very healthy. I was in very good shape. I actively played soccer and went to the gym 3-4 times per week. In summer 2007 I had several flu-like infections from which I was unable to completely recover. Then I noticed that my ability to function dipped almost every day. Up until November 2007 I was actually very healthy. I was in very good shape. I actively played soccer and went to the gym 3-4 times per week. In summer 2007 I had several flu-like infections from which I was unable to completely recover. Then I noticed that my ability to function dipped almost every day. This ended with me being taken to the E.R. one night with shortness of breath. I received the diagnosis of dilated cardiomyopathy – a complete surprise to me, that someone of my age and level of physical fitness would have to deal with cardiac insufficiency. In February 2008 I was fitted with an implantable defibrillator. In addition, medication-based therapy was adjusted to a level with which I would be able to live a rather "normal" life. I completed a vocational diploma and then successfully completed my studies in Business Administration. Next, I started working for an IT company. In August 2013 I suffered from cardiac decompensation and had to be taken once again to Emergency at the University Hospital Homburg. Since my condition did not improve, I decided in December 2013 to check myself into the hospital in order to receive treatment. On December 13, 2013, I was added to the transplantation list with an HU (high urgency) status. Thereafter, everything happened very quickly. Over the Christmas holiday I experienced multiple organ failure of my heart, kidneys and liver. On December 27 I was told that I would be moved to Cardiac Surgery. I had to undergo several tests, but the end result was that I needed an EXCOR® ventricular assist device from Berlin Heart. On this particular day I received temporary circulatory support and was placed in an artificial coma. On January 2, 2014, I was implanted with the EXCOR® system. At the beginning everything felt very strange, my family and I had to get used to the device. However, every single day we took one step forward and no steps back. After a three-week rehabilitation period I was able to go home. This was possible because my family, especially my wife and I, had become technically familiarized with the EXCOR® system. Thanks to my wife, we were able to change the wound dressings at home. Her many years of experience as a doctor's assistant at a Dermatology office was an advantage for us. Every four weeks I went to the hospital in Heidelberg for follow-up visits. My state of health had improved enormously. I was able to help out at home, which eased my wife's burden a bit. We went shopping together and went for walks around our neighborhood. When we had free days we enjoyed taking day trips with friends. On these occasions I was the only one who didn't want to take a break. In short, with Excor mobile a person can lead a pretty normal life. It is almost like living without an EXCOR® system, but somewhat more tedious in certain situations. But I, or rather we, were able to overcome even these situations. The EXCOR® was simply there. And we are so grateful that something like this exists. It saved my life. Then came November 2nd, 2015. During the morning I was in the city with my wife. Once home I laid down on the sofa to rest a bit. Suddenly, I choked and started coughing. My wife noticed immediately that something was wrong and she called the ambulance. I couldn't speak clearly anymore. A short time afterwards, an emergency team arrived. My left arm and left leg were making movements that I could not control. It quickly became clear that I was suffering from a stroke. The ambulance raced to the University Hospital in Homburg. The initial tests confirmed our suspicion and my mind slowly started to clear. I took it with good humor and told myself that I could finally be placed on the donor list under high urgency status, and I would probably receive a donor organ very soon. I remained one more week in the Stroke Unit. Then came the news we had longed for. I was transferred to Heidelberg and listed as highest priority - a small possibility in Germany of receiving a donor heart on time. During the week in the Stroke Unit, almost everything normalized once again. Very little remained from the stroke, and I took the following step full of optimism. It was clear to me that, from this point forward, I would only leave the hospital once I had received a donor heart. How long that would take, it was impossible to say: days, weeks or even months. I tried to make the best out of the situation, there was nothing else I could do. My family came to visit me almost every day. We always went for a short walk first, and then went for a cup of coffee in the coffee shop. During the course of the first week, they still had to run tests in order to register me as a patient with Eurotransplant HU (highly urgent). On the 18th of November I came back from my walk in the late afternoon and my treating physician came into the room and told me with a smile: "As of today, you are registered with Eurotransplant HU." He showed it to me in black on white. I was so happy that I think I even cried a few tears. From this point on it was a waiting game, waiting for a phone call and good luck. One night in February 2016, the night nurse stood suddenly before my bed: there was an offer for a donor organ. I couldn't believe it. This moment was anxiety-ridden for me because I knew that this would be hard, but I also knew I would be OK. When I arrived in the Surgical Dept. I was received very warmly. I knew most of the Nursing personnel well, and they were happy that it was finally my turn. The doctor told me that the team was on their way to remove the organ. The operation began around 6:00h. Already one day after surgery I was removed from the ventilator and was able to breathe independently. After two days in the ICU I was transferred to the Monitoring station. Here I took the first steps with my new heart. In the course of the week I was transferred to the ward. The further course of my hospital stay was fairly free of complications and went quickly, such that we soon spoke of rehabilitation. After exactly four weeks I was able to leave the hospital and was even home for a couple of days before entering rehab. After my first operation, I had promised the personnel at the rehab clinic in Bad Schönborn that I would return after my transplantation. So it was, and rehab went very well. I could feel that my new heart was doing a great job. After my official exercises, I would go outside for a walk or sit on the ergometer. I always wanted to be doing something. The three weeks flew by. Once I was back home I was able to relax a bit. The first year after transplantation I had to return for follow-up biopsies every four weeks. I continued exercising to achieve physical fitness. My walks became longer and faster. Jogging was not a possibility due to joint pain. Then I started riding a bike. During my third bike ride on a Saturday afternoon, I was hit on a rural road by a car, took a bad fall, and broke my left hip and my left elbow. Both had to be surgically repaired. Once again, I couldn't walk well for weeks. After about six months I started jogging again slowly. Then I wanted to ride a bike once again. In April 2016 I began my professional reintegration. I was able to resume my previous job. Since June I have been working once again full time, and it is no problem whatsoever. Here, too, I see only advantages that are good for my psyche. Almost two years after my operation I have felt ready to go on winter vacation once again. I am very satisfied with how things have progressed and, most of all, I feel strong. But I also have to work for this. I regularly engage in the type of sports that I feel are good for me. In winter I go jogging up to four times per week. In summer I spend most of my free time biking – which is primarily an endurance sport – just like a normal, healthy person. I also think very often of my donor, I look up to the sky and can only say "thank you". Especially for those moments that I wouldn't have been able to experience, had it not been for his/her organ donation. Everyone should reassess their personal decision for or against organ donations, and also clearly communicate their wishes. Organ donations save lives. My life was saved by an organ donation. And NO, another man SHOULD NOT have died for me! Only six days after her birth in Maceió, the capital of the Brazilian state of Alagoas, Lorena’s medical history takes its course. After breastfeeding her little daughter, 31-year-old Larissa Monique Farias da Silva, notices that Lorena only breathes very weakly. She immediately takes her to the nearest emergency hospital. On the x-rays, Lorena's heart is significantly enlarged and she is sent to the intensive care unit of Maceió medical center. But even after one month, the doctors cannot help Lorena and recommend a transfer to the Heart Institute of the University of São Paulo (Instituto do Coração da Universidade de São Paulo), one of the reference centers for heart treatment in Brazil. Lorena's condition remains critical when the family sets out on the 2.500 km journey to São Paulo in early November 2017. Once there, Lorena runs through comprehensive examination. The diagnosis: dilated cardiomyopathy. The total capacity of her heart remains only at 11 percent (ejection fraction: 11 %) and the performance of her right as well as her left ventricles is severely limited. A heart transplantation seems to be unavoidable. In order to stabilize Lorena until transplantation, the doctors try to support the native function of her heart with medication first. Unfortunately without success, Lorena suffers a heart attack and must be revived. Her only chance: the implantation of the EXCOR® Pediatric ventricular assist device. Five patients - three children and two adults - have already been treated with the EXCOR® system from Berlin Heart at the Instituto do Coração. 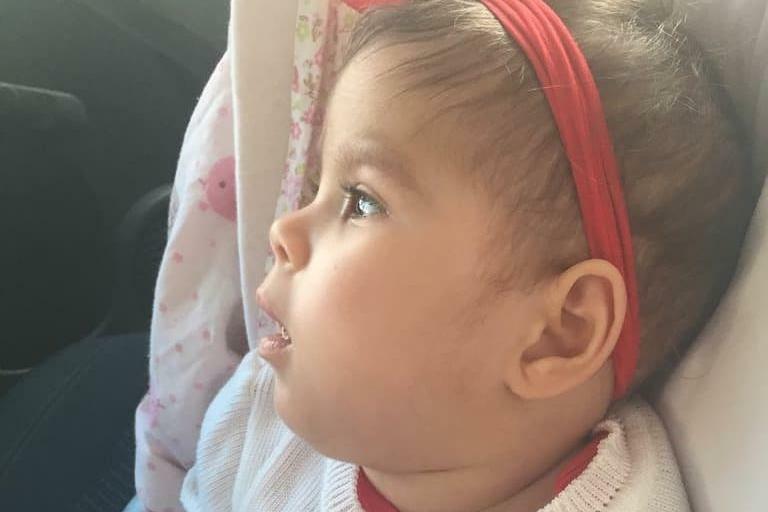 Nevertheless, Lorena is the first pediatric patient in Brazil to have a biventricular support due to the severe dysfunction of both heart ventricles. That means one EXCOR® pump supports each ventricle. Furthermore, her low weight of only 5.5 kg at the time of implantation, worries the doctors. But everything goes well. Shortly after the operation, Lorena's condition improves visibly, all vital organs such as liver and kidney are properly supplied with blood again, she eats normally, interacts with her parents and smiles. A glimmer of hope for Lorenas parents. “After a short period of time Lorena had gotten used to her two little hearts and she was getting better every day," says Lorena's father Renato Luciano Torres. During her time in hospital, not only Lorena’s parents but also the entire medical and nursing team stand by her side. In February Lorena celebrated her first birthday with her family and the whole team. Only two months later, in April 2018, Lorena's parents receive the long-awaited message - a donor heart is available. The ensuing transplantation is successful and only a few weeks later Lorena can finally return home. We keep our fingers crossed for Lorena and her family and wish them all the best for the future. Little Elena lived with the ventricular assist device EXCOR® Pediatric for almost two and a half months. During this time, something happened which seemed so unlikely at first: her heart recovered so well that the doctors at the DHZB (German Heart Institute Berlin) were able to explant the system. When Elena was five months old, she suddenly began to suffer from severe breathlessness. The infant had to be resuscitated while still in the helicopter on the way to Dresden University Hospital. It quickly became clear that Elena's heart was very poorly. 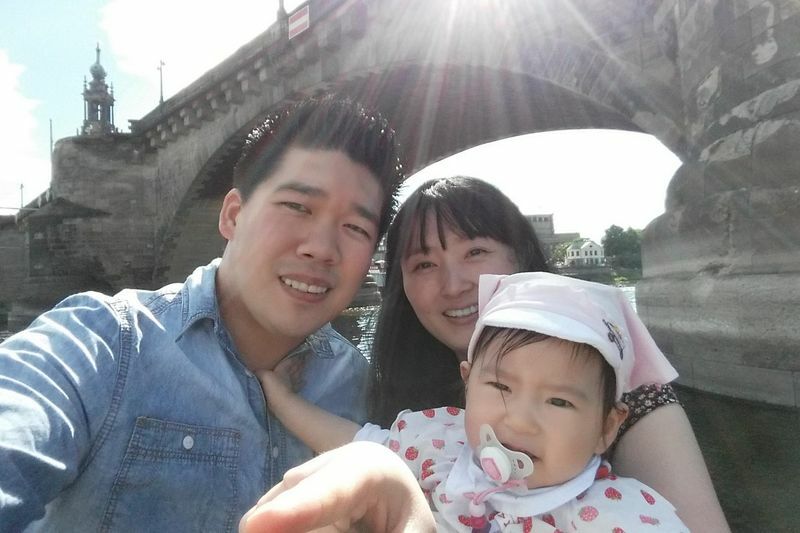 At the German Heart Institute Berlin, Elena's parents finally received the diagnosis: dilated cardiomyopathy. Elena's left cardiac muscle had expanded so much that it could no longer pump enough blood through her body. 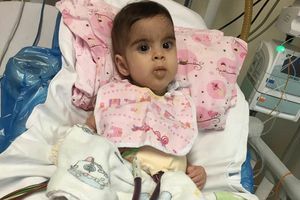 The little girl's condition was critical – her cardiologist estimated that there was a 95 percent chance that she would need a heart transplantation. In order for Elena to survive until a potential transplantation, the doctors implanted the EXCOR® Pediatric. Elena's father, David, was working for the company National Instruments at the time – a long-term partner of Berlin Heart. It supplies hardware and software for the EXCOR® drive manufacturing plants. Therefore, National Instruments contributes to the functioning of the only pediatric ventricular assist device in the world – a system which even saved the life of David's own daughter. "Since I found out what our work at National Instruments achieves, I regard it much more highly than I did before," says Elena's father, "You can count on EXCOR® – it is a reliable, well-tested system." Since Elena's recovery, everything has changed: the family is back at home and Elena now goes to nursery. 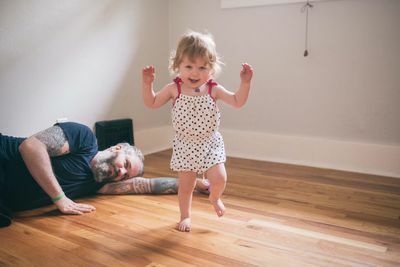 Her father, David, is grateful for this development: "When your child's condition deteriorates so quickly and there is so little hope, it is like having a brick wall in front of you. Elena's illness was a bolt from the blue and had no clear cause. The EXCOR® System was our last hope. We are so blessed that Elena's heart recovered." Two weeks after Juniper’s birth, her parents took her to the doctor for her first check-up. Assuming they had a healthy baby, Juniper’s parents were shocked when the doctors discovered that her heart was twice the size it should be. Jenny Karsberg’s story began in the summer of 2010 when she first had difficulty breathing. Her doctor assumed that she suffered from asthma and prescribed her asthma medication. However, her condition did not improve. Jenny Karsberg’s story began in the summer of 2010 when she first had difficulty breathing. Her doctor assumed that she suffered from asthma and prescribed her asthma medication. However, her condition did not improve. Several weeks later the 41 year old woman began coughing so severely that she had to go to the hospital. Jenny was, however, extremely weak. For this reason the ambulance rushed her to the emergency room near the hospital. In the emergency room the doctors resuscitated her to save her life. An ultrasound of the heart clearly showed that she suffered from congestive heart failure. Additionally, an x-ray of her lungs showed an enlarged heart. Eventually she was diagnosed with idiopathic dilated cardiomyopathy. Jenny was then transferred to the Sahlgrenska University Hospital in Gothenburg, where she stayed in intensive care. In October 2010, Jenny resumed working part time as a chemical engineer and also swam and danced again. In 2013, the Swedish woman started to feel pressure in her chest again and grew sicker over the summer. For the second time she had a pulmonary edema. As a result, Jenny underwent surgery to repair her mitral valve. Unfortunately, Jenny’s heart was very weak. The patient did not recover as expected. She then had kidney failure and was put on dialysis. After weeks of rest and a long period of physiotherapy she regained her strength; she was released to go home. Two months later Jenny had to go back to the hospital. She was in critical condition and a thoracic surgery was necessary. Jenny received a Berlin Heart EXCOR® on December 3rd. Since then the device has supported both of her ventricles. In early 2014 Jenny could finally return home to her husband (whom she met at a dance event 16 years ago) and two children. Her parents currently live with her and her family to support them during this time. While Jenny was on the system she went to the hospital once a week for routine check-ups. She usually brought her laptop to watch movies and television shows. Jenny found friends on Facebook who have also had a Berlin Heart system. 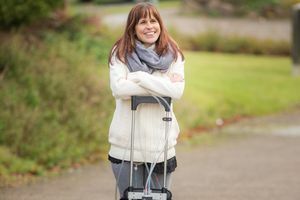 While she was on the waiting list for a heart transplant, Jenny said: “I'm getting stronger every day with my Berlin Heart pump and I try to stay fit and build up my body again to prepare for the big surgery.” She hoped that a matching donor heart would be found soon. What she was hoping for finally came true in late May. After almost six months on EXCOR® System she received a donor heart in May 2014. Shortly after the transplant Jenny felt great and reported that her new heart is very strong. "The mechanical heart has helped me to survive the time I had to wait for a donor heart“, says Chantal (26), who studies in Hamburg today and is doing her master's degree. "The mechanical heart has helped me to survive the time I had to wait for a donor heart“, says Chantal (26), who studies in Hamburg today and is doing her master's degree. At the age of 12 she was supported by an EXCOR® Pediatric. “This mechanical heart has played a major role in my life and I have many memories of that time. I am very grateful that this technology exists and that the therapy was so successful". Already as a child, Chantal was very athletic, and played a lot of tennis and hockey. But at the age of 11, she suddenly was becoming no air just climbing the stairs. The cardiologist sent her straight to the hospital in Bremen. Her left ventricle was found to be inflamed and she was put into an artificial coma. The situation was very dramatic, and the doctors did not believe that she would survive the next night, and told this also her parents. Chantal survived, but she did not feel well. "I often suffered a lot of pain so that I had to spend days in bed motionless and almost completely devoid of energy" she recalls. 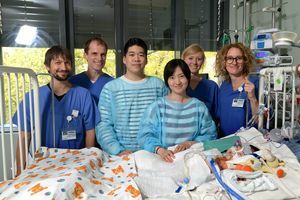 After six months of treatment in Bremen, she became progressively worse and was transferred to the German Heart Center in Berlin (DHZB). 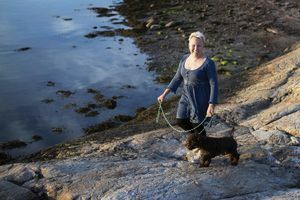 “On the very first evening I suffered ventricular fibrillation after which a mechanical heart was implanted in an emergency surgery" says Chantal. Her involvement in organ donation support has also been important, for which she has already appeared in the TV shows "Markus Lanz" (ZDF), "3 to 9" (NDR) and "Good morning Germany" (RTL). “I want to show people that this can happen to anyone and that your life might suddenly depend on a donor organ, just as happened with me. An organ donor can save up to seven lives! I want to use my fate to help save the lives of as many people as possible through donor organ support." Geoffrey to this day has close ties to the University Hospital of Regensburg. He regularly visits the clinic for checkups. He can even see from his bedroom window the place that saved his life multiple times, and the experiences and people will forever remain also close to him. Geoffrey’s medical history begins many years before his INCOR® implant in 2011. In 2003 he already had breathing problems and he couldn’t pursue his hobbies of running and bicycling as much. In the summer of 2003, he collapsed. He needed a pacemaker, and he later received an implantable cardiac defibrillator. At first, his cardiac degeneration was treated medically and this appeared to have fixed his condition. However, his condition became worse; he collapsed from cardiac arrest after being registered for a heart transplant. 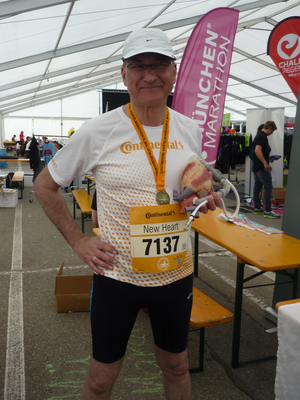 Regensburg Professor Dr. Christof Schmid operated on him at the University Hospital of Regensburg and Geoffrey received as a last resort an INCOR® left ventricular assist device implant. The threatening ailment and amplified condition of the heart was reduced thanks to the INCOR® support. A notable change began in his general condition. Gradually the engineer became accustomed to the device. It became a routine and he began to familiarize himself with the components. He could even pass on a few tips to the hospital employees and fellow patients. 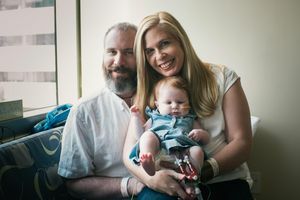 His family, friends, the hospital crew, and colleagues from work were always by his side throughout the entire course of his support time, which totaled more than 20 months. This made the return to work with regular and short travels possible. Occasionally random good-natured jokes were made in the hospital, in rehab, and at work which resulted with a request to Berlin Heart: Can you also go gliding with the INCOR®? Geoffrey does not need to leave behind the joys of life and his hobbies despite his severe illness. He still remains active after his transplant in 2012. He loves to run. Additionally, he is often traveling for business. Nonetheless, the connection to Berlin Heart is still intact. A few entries in the 10 Kilometer Regensburg race alongside colleagues of Berlin Heart and a few trips to Berlin with and without family will forever remain a lasting memory for all involved.